Please note: Offer(s) featured are subject to change without notice. Early Saver terms & conditions (T&C) apply. $50 per person (pp) fee assessed for ship/sail date changes made prior to final payment date. Cancellations prior to final payment date will receive future cruise credit(FCC) for deposit amount less a $50pp fee. FCC issued in USD & must be used within 24 months from cancellation date. May reprice booking if a lower cruise rateoffered to the general public is available based on the total cabin occupancy &not from the booked ancillary services or group rates. Guest assumes T&C of newpromo & may forfeit features associated with original fare(i.e. cabin assignment, onboard credit, upgrade, special deposit/payment terms). Verified rate difference issued as nonrefundable onboard credit. No name changes. Rates/cabin type based on availability, subject to change until booked. Offer could be withdrawn at any time without notice. A/O 4.19.19 Based on 2 people per cabin are as follows. All rates based on availability, subject to change until booked.Contact Denise to check for current rates and availability. Deposit (non-refundable) Deposit due at booking. Contact Denise for a current quote and to check availability if promo is expired. At booking I will check if a lower rate is available like an early saver, senior, past guest special or military rate for those who qualify. Port, taxes, charges (excludes fuel supplement) are included in the above listed rates NOTE: Assigned deck based on availability, Carnival reserves the right to add a fuel supplement charge of $9 per guest per day if oil reaches $70 per barrel. *Group rates only apply to 1st/2nd person per cabin. Contact Denise for current single, triple, quad, suites or assigned cabin rates on other decks. Those rates are based on availability and current rate at time of booking. - Suites: $15.99, per person, per day , land tours (approx. $29-$99 per person), spa/salon services, gift shop purchases, gambling, bar beverages (alcoholic, bottled water & sodas), etc. Some restrictions (including stateroom category availability apply). Dining request based on availability. Cancellation penalties and additional charges for name changes apply. Refunds may take 30 days+ to process Call Denise 281-436-0405 or 713-560-3284 (cell) to check current rates and availability. Rate quotes are based on availability, subject to change until booked. Restrictions apply. Not responsible for errors or omissions. 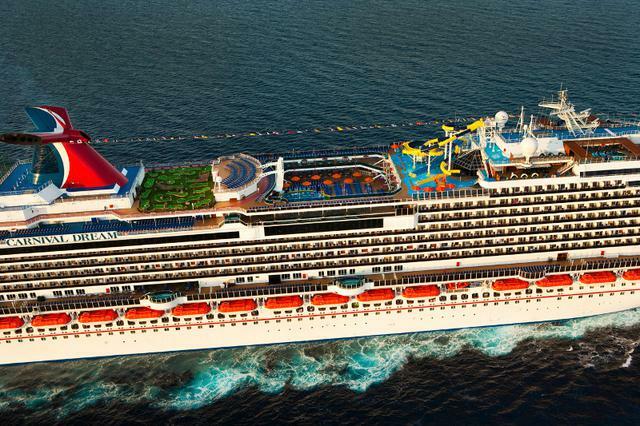 Carnival Cruise Line has moved to an a la carte stateroom service menu, with the exception of the continental breakfast which remains complimentary. A wide variety of menu items will be available with a nominal cost ranging from $2 to $5 per item. Charges apply to lunch, dinner and late-night menu items, in addition to new breakfast sandwiches that have been added to the menu. Over the last several years, we have heavily invested in bringing more variety to our complimentary food choices across our fleet, while at the same time trying to find effective means to continue to reduce food waste and manage costs that impact fares. For late night dining and snacks, the deli and our pizza stations will remain open for complimentary options. Nikki has selected late dining 8:15 pm for the group. Guests who are 24 weeks or more into their pregnancy at time of the voyage will not be permitted to sail due to risk of premature labor. Less than 24 weeks, a physician’s “Fit To Travel Note” is required. Rate quotes are based on availability, subject to change until booked. Restrictions apply.